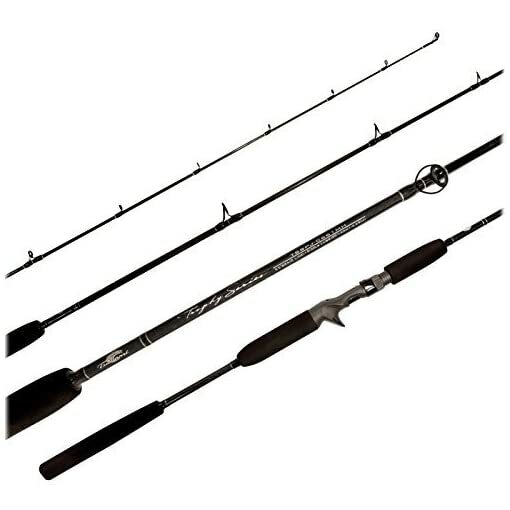 Tsunami Trophy Slow Pitch Jigging Casting Rod Heavy Action Length: 7′ | Line: 20 -40lb | Lure:1 3/4 -4 1/4oz These rods are lightweight, powerful and come with an acid wrap guide layout that you can only find on high-end custom rods! The acid wrap design minimizes stress on the rod and reduces breakage from high sticking. 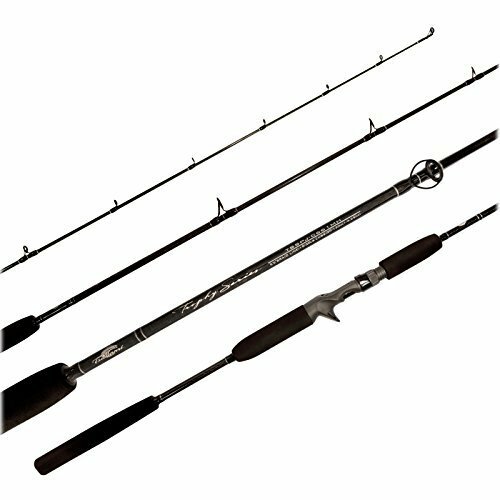 Tsunami Trophy Slow Pitch Jigging Casting Rods are constructed of a high modulus graphite mesh and composite blend for strength and weight reduction. They have been outfitted with Fuji O aluminum-oxide guides, a Fuji graphite reel seat with trigger and stainless hoods and a custom EVA grips. The reargrip has been split to further reduce weight.